Knitting a hat with so many things that could have easily gone wrong has seemed to break the bad luck curse of late. What could have gone wrong, you ask? First off, its a lace-like pattern, which (for me) makes it very likely that something will go wrong. And tinking back to fix a mistake in lace makes it even more likely that I’ll mess something else up. AND I didn’t even bother with a lifeline. And then there’s the cursed yarn I was using (see previous post for that whole story). 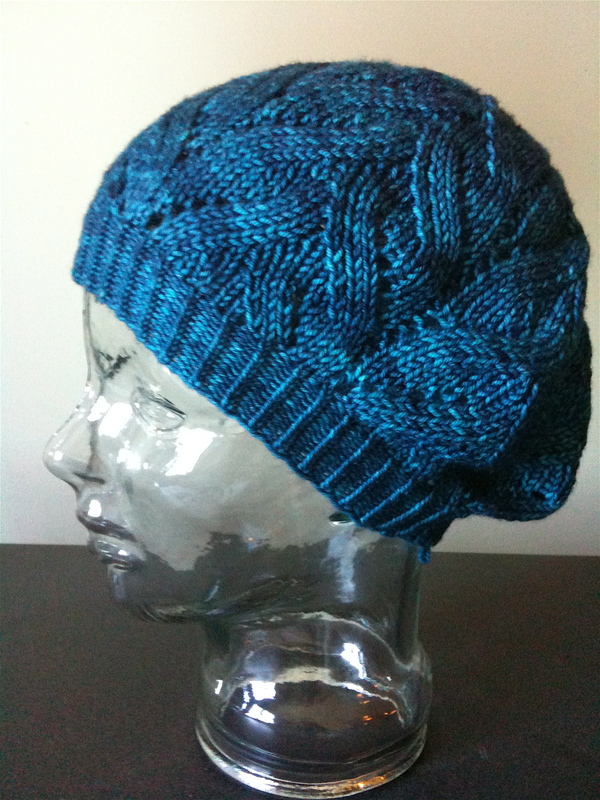 It’s superwash, so that meant that even though it took five tiny balls to knit up this hat, I couldn’t spit-splice the ends. And of course, starting a new strand of yarn in a lace pattern can be tricky as well. But I lucked out and was able to start all the new strands on the “rest” rows of the pattern. Then there was the fact that I chose to go down a needle size from what the pattern suggested without swatching. (Tempting the fates!) And of course, the hat was coming out very small. So small, that I was pretty sure I would need to give it to my eight year old niece if I ever wanted the hat to be worn. But then I followed the pattern’s suggestion to block it over a dinner plate to really open up the lace pattern. And lo and behold, an adult sized hat resulted. That dinner plate thing really does work. 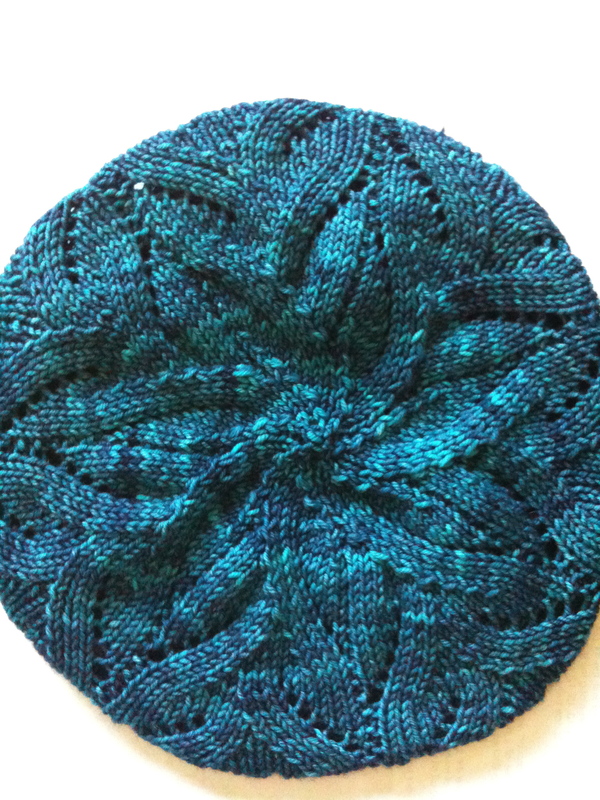 I first used it on a beret, as per the pattern instructions, but have found it useful since. I never use a lifeline either. If I screw up lace, most likely the whole project is going to be scrapped. Really a cute hat, and I love that color! I’ve been wanting to try that exact colorway for the longest time, but am on a bit of yarn-buying break. Sounds like it would be a good thing to put on the xmas wish list!